In 1686 the tract of land between the Byram and Mianus rivers was traded by the Miossehasseky Indians for just thirty acres of planting ground elsewhere. Known then as Horseneck, it was the principal farming area of the town and supplied much of the produce for New York. The advent of the railroad in the mid-nineteenth century was an economic boon for central Greenwich, transforming Greenwich Avenue into the major shopping center it is today, with its many upscale stores and top-rated restaurants. Trademarks of the Avenue are the uniformed policemen who direct traffic every weekday. Central Greenwich is the hub of economic activity and the seat of town government. It is also where the main Greenwich library, Bruce Museum, Greenwich Hospital and many other town institutions are located. The central Greenwich area offers a wide range of residential opportunities, from apartments and condominiums convenient to shopping and public transportation to midcountry homes and the exclusive waterfront properties in Belle Haven and Mead Point. In Fairfield County there is a remarkable town known as Greenwich, Connecticut. Greenwich is home to approximately 62,300 residents and a number of hedge funds and other companies dealing in financial services. Greenwich is a charming community and serves as the westernmost and southernmost municipality in the state and in the six-state region of New England, in addition to being the largest town on Connecticut’s Gold Coast. 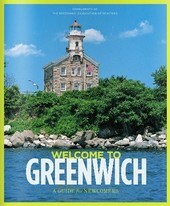 Greenwich, named for a borough of London in the U.K., is only thirty-eight minutes from Grand Central in Manhattan. Additionally, this delightful town has been ranked on Money Magazine’s and CNN/Money’s list of the “100 Best Places to Live” in the nation. Residents of Greenwich enjoy a plethora of truly remarkable shopping, dining, entertainment and recreation opportunities. In fact, it has been said that the dining and shopping in Greenwich rival that found in Manhattan. But in addition to having exceptional amenities and attractions, Greenwich also boasts the tranquility of a suburban oasis. In Greenwich you will find an impressive small-town cosmopolitan ambiance that can be captured with a stroll down Greenwich Avenue. Boasting more than thirty miles of shoreline and 1,500 acres of parkland, Greenwich is a great place to buy a home. Often called the “Gateway to New England,” Greenwich is home a varied population and real estate market. In Greenwich you can find apartments, condos, affordable single family homes, large and luxurious estates, and everything in between. 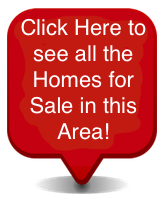 The homes for sale in Greenwich come in a variety of ages, sizes and architectural styles and are found in a myriad of remarkable neighborhoods and subdivisions. The median home price in Greenwich is around $1.34 million, but the price range is very broad. Situated on Long Island Sound, Greenwich has waterfront properties in Old Greenwich, Cos Cob and Riverside, as well as wooded country estates in other areas. Condos and townhomes in Greenwich has an average listing price around $1.5 million, while multi-family homes have an average listing price near $1.4 million. Empty lots and vacant land for building in Greenwich can cost as much as $14 million, but have an average price closer to $3.1 million. Single family homes in Greenwich have the broadest price range with an average listing price near $4.2 million. If you would like to buy a home in the prestigious community of Greenwich, Connecticut, please contact us today for assistance or more information.